By David Ponce on 07/21/16 • Leave a comment! By David Ponce on 05/04/16 • Leave a comment! Ok, we’re just being mean. Maybe you do have friends and we’re projecting. 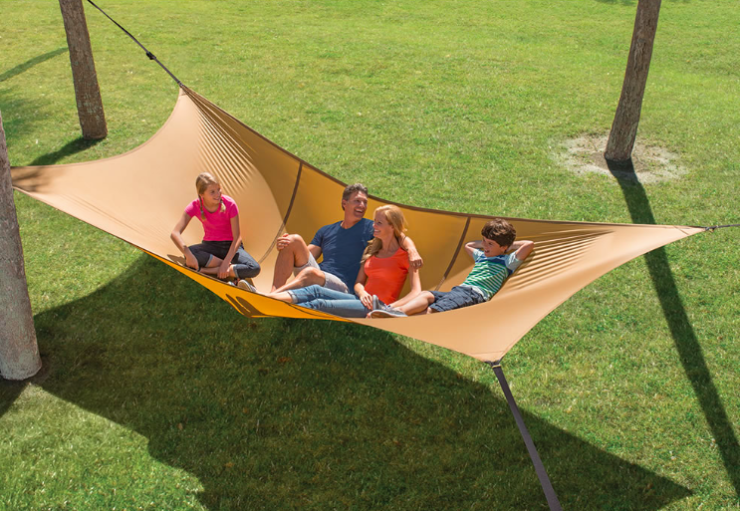 Whatever your social situation is, The Bunyanesque Hammock might actually appeal to you. It’s basically a giant tarp that you have to stretch out between trees or post or other structures. It’s rated to support up to 1,000 lbs, which is five 200 lbs. adults or about 72 kids. We think. Anyway, it’s a lot of people frolicking about in what looks like a ton of fun on a summer afternoon. It’s also a lot of money: $500. By David Ponce on 08/18/15 • Leave a comment! Spinning an aluminum can in icy water in order to chill it faster actually works: you can get a beer from room temperature to frosty in about 60 seconds. But doing this manually isn’t the best way to go about it. The SpinChiller is a water resistant drill of sorts that accepts standard sized cans and spins them. There’s nothing like a refreshing ice-cold drink on a hot day. 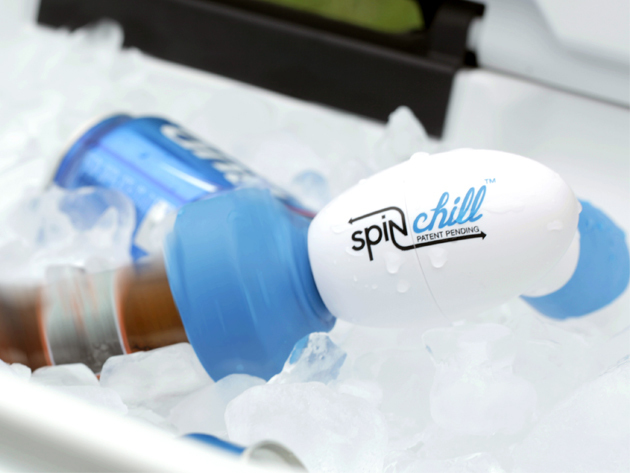 With the SpinChill, you can cool off no matter how far you’ve strayed from the fridge. This innovative gadget chills drinks up to 30 times faster than a freezer, and can work its magic in a minute flat. Bring it to the beach, pool, picnic, or keep it in the car for emergencies—you’ll thank yourself later for saying yes to the SpinChill. The summer isn’t over, guys. You can order one of these for $20, down from the usual $25, with free shipping. By David Ponce on 03/18/15 • Leave a comment! BBQs come in all shapes and sizes, and not all of them are practical. The typical round grills you see in parks during the summer are just fine for cooking your meats. But not so great at stacking efficiently in the trunk, and even less so at being incognito. 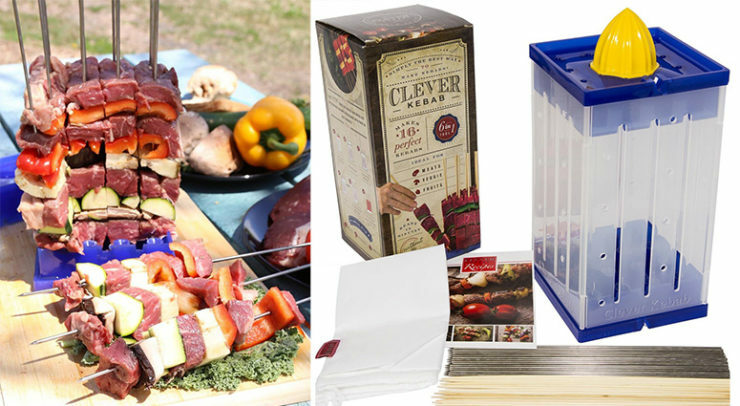 Not that we can think of a single good reason for why’d you’d want to walk around with a BBQ disguised as a briefcase, but now you know this product exists. 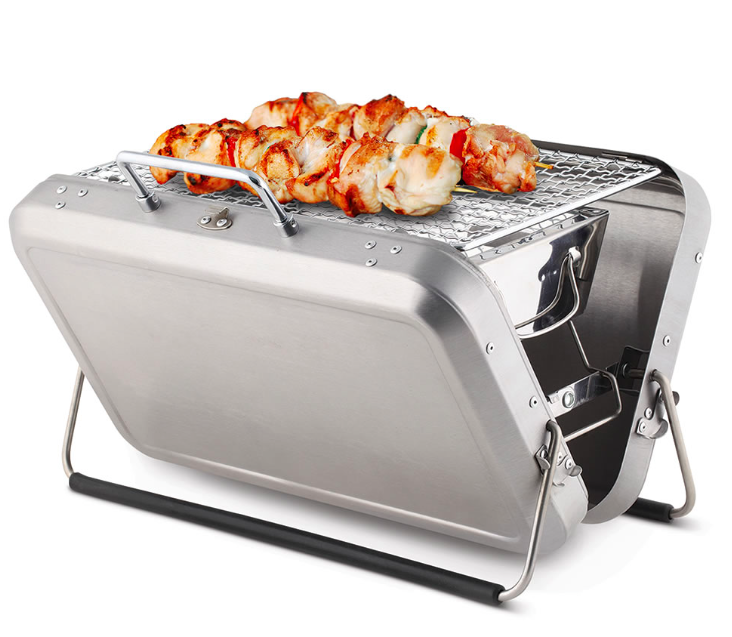 The Briefcase BBQ is a 12 1/2″ H x 8 3/4″ W x 2 3/4″ D portable grill that weighs 4lbs., and uses charcoal for fuel. It’s $79. By David Ponce on 11/10/14 • Leave a comment! As the northern world prepares for winter, a good portion of the world further down south keeps on trucking like nothing’s happening. 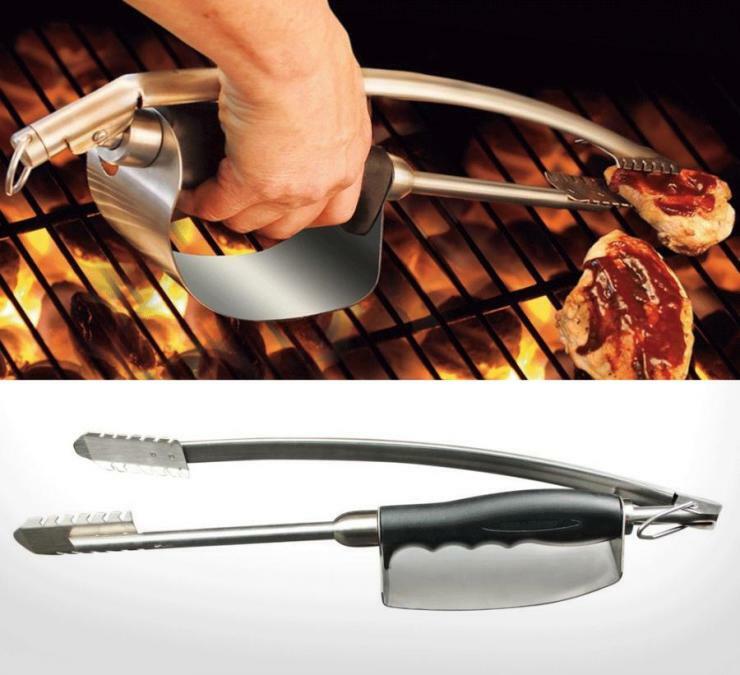 These people may even have BBQs now and then, so someone might be interested in a BBQ tongs with an integrated heath shield for your hand. It’s not the most sophisticated gadget out there, but the simple things can sometimes make the most difference. 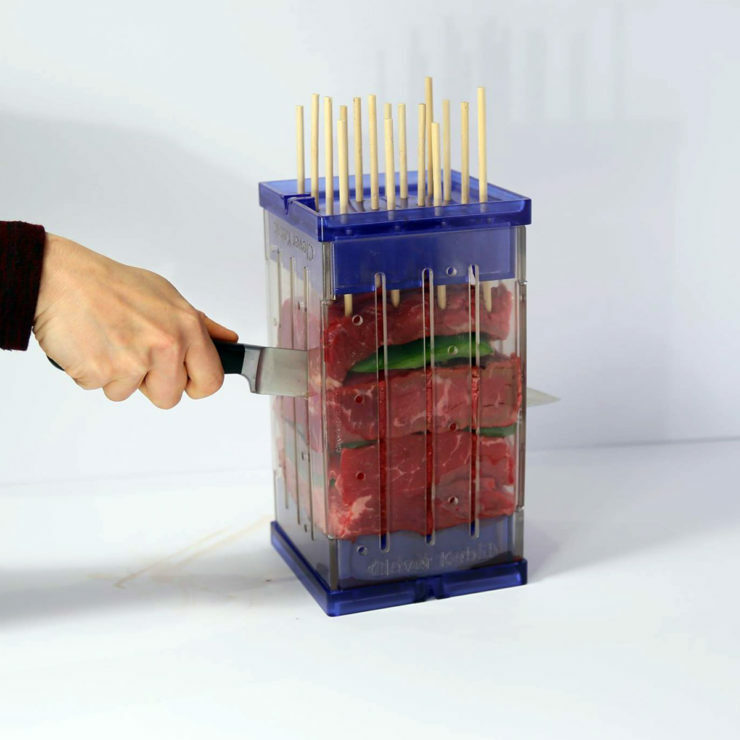 For all of $20, you’ll be able to flip those steaks without turning yourself into on in the process. By David Ponce on 07/10/14 • Leave a comment! With the summer in full swing, coolers are cool again. And the coolest of them all really appears to be, well, the Coolest Cooler. Having blown way past their Kickstarter goal ($1M+ raised with a $50k goal), it appears lots of other people agree with the vision. 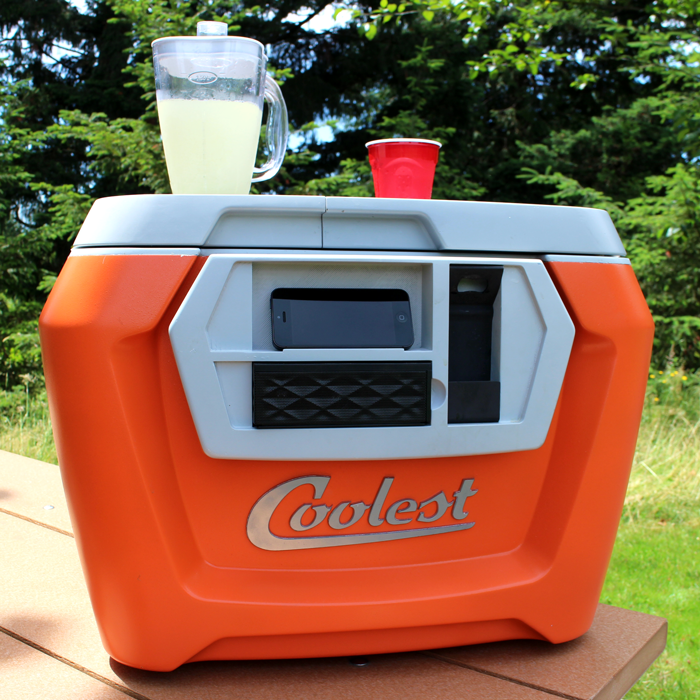 See, this 60-quart cooler doesn’t just keep your liquids frosty, it also doubles as: a blender, a set of Bluetooth speakers, a USB charger, and more. There are LED lights to guide you to your drinks in the dark. There are tie-down straps to secure your other gear atop of it. Hefty tires ensure you don’t get bogged down in the sand. Internal dividers keep drinks separate from ice, if that’s what you want. Heck, there’s even a bottle opener. 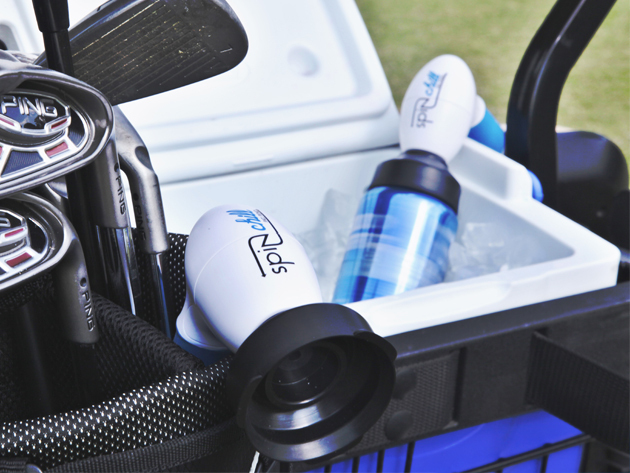 It’s a pretty mind blowing cooler, and you’ll have to pledge $185 to get yours. That’s still much less than the expected $300 retail price. By David Ponce on 07/30/13 • Leave a comment! Like to run into the water without thinking? You go to the kinds of parties where you’re likely to be pushed into a pool by some drunken fool who didn’t at least ask to see your phone before pushing you in? There’s a long list of situations where you’d want to be wearing shorts with waterproof pockets, and the Stash shorts pictured above got you covered. 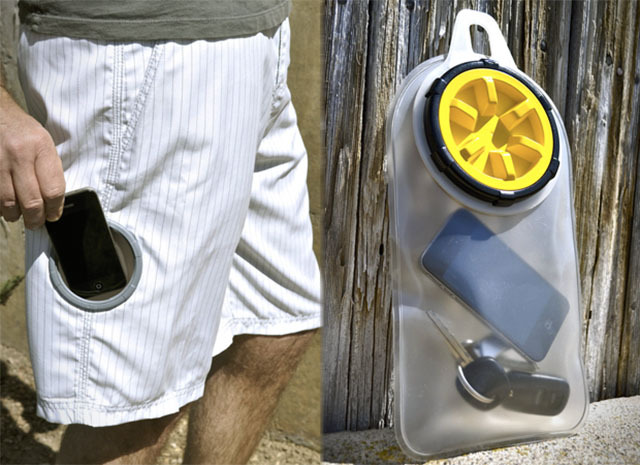 They feature a watertight plastic pocket with an opening large enough to fit wallets, phones, keys or cash. Also, their usefulness is not limited to times where you’re in the water involuntarily; going to the beach and leaving your valuables on the sand to possibly get stolen is always a risky proposition. The problem is… the Stash doesn’t actually have you covered, since they’re not for sale. They were on Kickstarter a while back, but the campaign didn’t reach its funding goal. They would have sold for $80, but now the company is trying to figure out some other way to bring them to market. Best we can do is point you to their Facebook page where they might update you if ever this product gets made. By David Ponce on 07/22/13 • Leave a comment! Puzzle Pong is not the first floating beer pong setup, but the makers have thought long and hard about this and introduced some improvements over other such products already on the market. Puzzle Pong is modular and can be assembled into a 4, 6, or 8 foot long table with ease, and then folded back up into a 7 lbs. 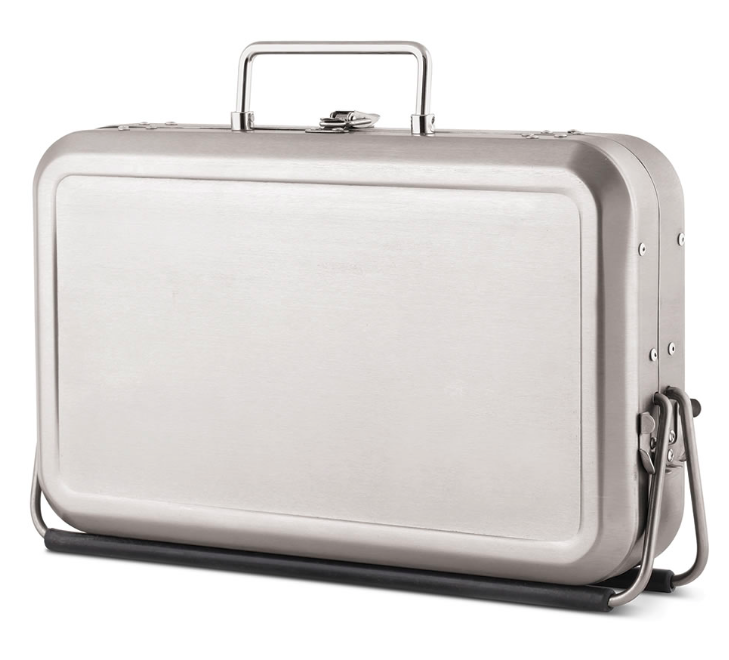 briefcase when you’re done. It’s made from polypropylene foam, which not only makes it float, but is also more durable than other floating materials. The recesses for the cups feature tiny holes that allow water to drain through and prevent splashing around from a stray shot. Of course, we’re not sure why you’d want to avoid getting splashed while standing in a pool, but there you have it. If you want your own Puzzle Pong, head over to Kickstarter and pledge $50. Delivery is slated for November so you’ll likely miss the summer, unless you live in the kind of climate that’s summery all year long. And if that’s the case, we hate you. By David Ponce on 06/24/13 • Leave a comment! 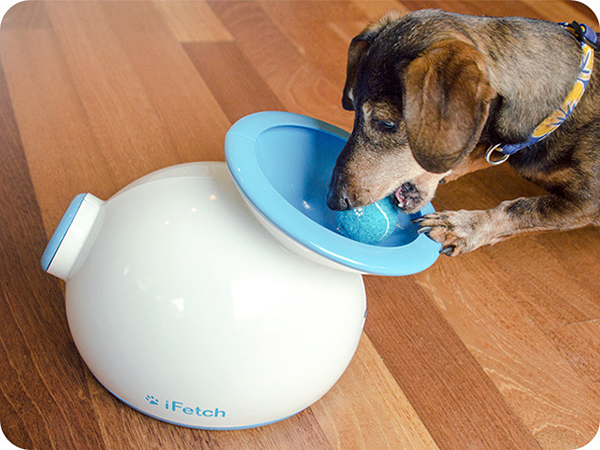 The iFetch device pictured above will throw a ball 10ft, 20ft, or 30ft., so that you don’t have to. It’s meant to be used entirely by your dog, without your intervention. It features a large funnel shaped opening that your pup will hopefully learn how to use, and is activated by the introduction of a ball. Take your pooch to a park, set this on the floor and watch as your canine amuses himself with minimal intervention on your part. If the animal was any smarter, it would resent you for not “spending quality time with it”. Or maybe it’ll do that anyway. I don’t own a dog and never have; will they even notice? Either way, it’s $75 to pre-order one on Kickstarter.